This past weekend, Doug and I went to the Antique Power Show at the Little Log House Pioneer Village in Hastings, MN. We enjoyed wandering the grounds, exploring restored old buildings like the Little Log House that started the village, a general store, schoolhouse, blacksmith shop, telephone building and jail. Although most of the buildings were over 100 years old, there were a few that were newer, like the car dealership above. 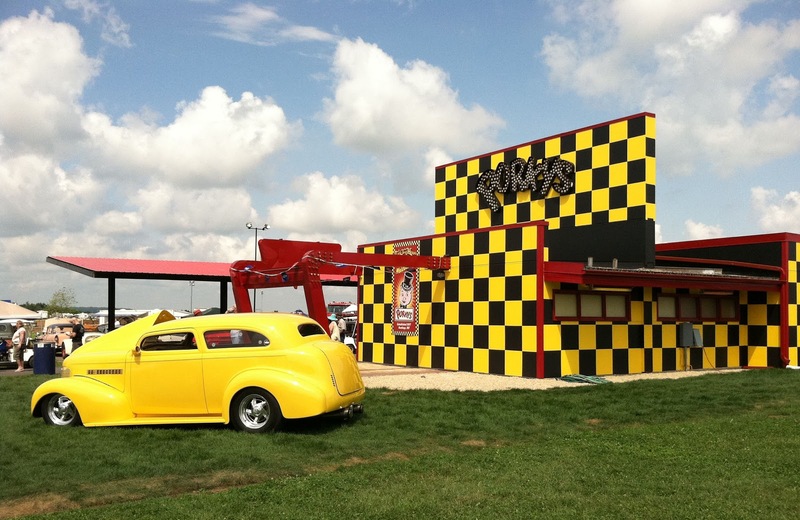 A new addition this year was Porky's, a drive-in previously located on University Ave in St Paul. The restaurant opened in 1953 and closed earlier this year. This weekend, the carport was filled with classic cars from local clubs. 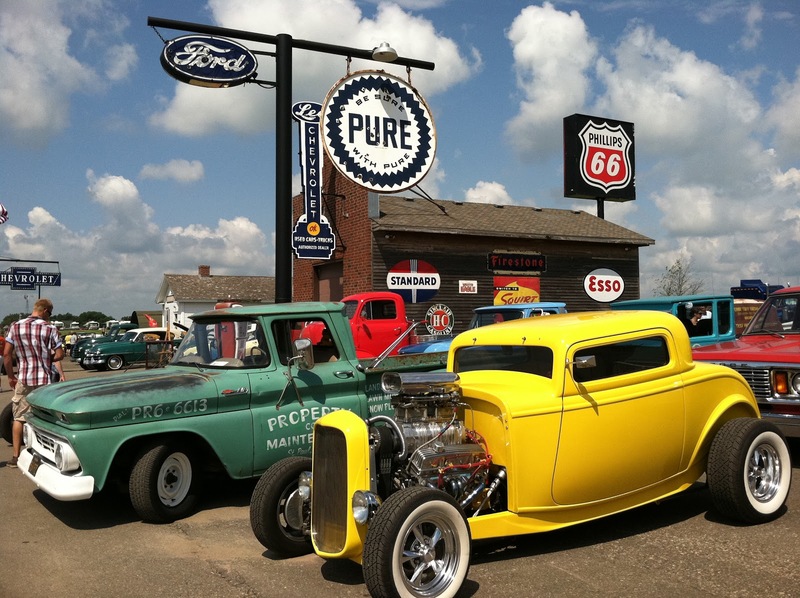 Vintage cars and trucks were also displayed at the old car dealership nearby. The Little Log House that started it all. In addition to touring all the old buildings, you could watch demonstrations at the butcher shop, flour mill, print shop, engine shed and blacksmith shop as well as demonstrations of threshing, basket weaving, quilting, and spinning in other areas of the village. There were also Military displays and demonstrations, model railroad trains and old tractors to look at. Vendors sold various items inside different buildings, and a large flea market was located outside. The grandstand had tractor and truck pulls and children could visit the barnyard and petting zoo. Refreshments were available at the saloon and various food stands. 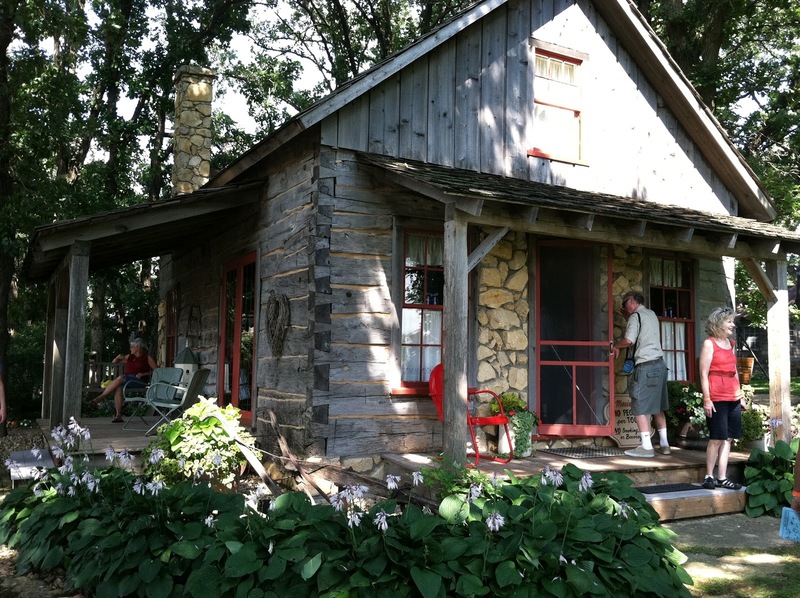 A lot to see and do during this annual open house of the Little Log House Pioneer Village. If you get a chance to check it out next year, don't miss it.